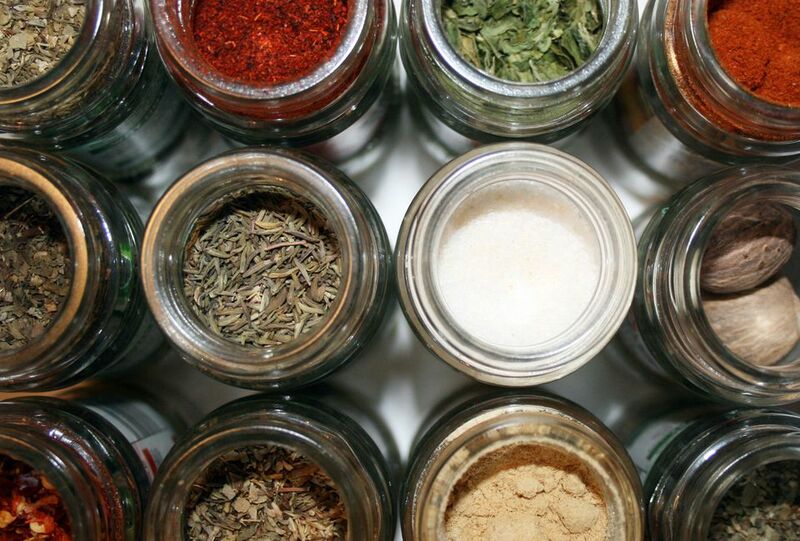 Making your own seasoning mixes ensures consistency in all your recipes, and most of the time homemade blends will last longer than store-bought varieties. You won't always save money making your own spice blends (usually it will be a wash), but you'll taste the difference, and you'll have the satisfaction and peace of mind that comes from knowing exactly what went into your spice blend. 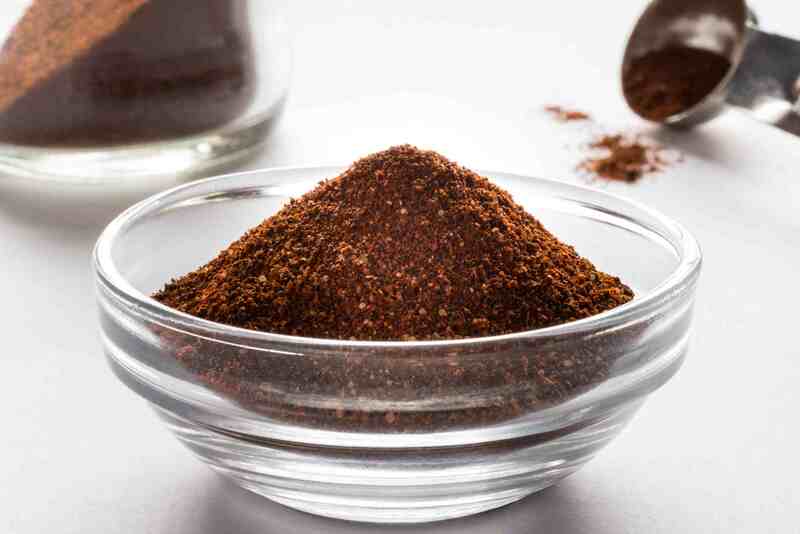 The best way to get your hands on the raw materials for creating your spice blends is by buying whole spices and grinding them up in a coffee grinder or spice grinder. As for the herbs, well, they're merely dried leaves, so you don't need to grind them. You'll simply add them to the mix just as they are. These days you can find bulk spices in most of the big grocery stores. So you can buy anything from a single clove to a pound of them. Needless to say, that's where you should purchase your ingredients—not the regular spice aisle with all the jars. Remember, too, that to produce a tablespoon of, say, ground cumin, you'll need less than a tablespoon of whole cumin seeds. Or perhaps another way of looking at it is, a tablespoon of whole cumin seeds will produce about 1 1/4 tablespoons of ground cumin. Other spices convert differently, but as a general rule, one part whole spice will yield 1 1/4 to 1 1/2 parts ground. Fortunately, slight variations in quantities aren't going to spoil anything. Clean glass jars with tight-fitting lids. The lids are important to keep the seasonings fresh, and glass is important since plastic containers will absorb the smell of the ingredients. Coffee grinder (or a spice grinder, which is basically the same thing). Naturally, you'll want to clean it between uses so you don't have cumin residue going into a spice blend that doesn't include cumin (Although a little extra cumin never hurt anyone). Funnel: Just try getting your spices into the jars without one. Yes, you could try to use a piece of parchment paper, but after spilling spices all over the place a couple of times, you'll want to buy a funnel. Skip that step and use a funnel from the get-go. Labels: In addition to the name of the spice blend, you can also write the date you made it. If you notice six months have gone by, you might want to think about making a fresh batch. Most spices are dried seeds, roots or flower buds, or in the case of chiles, dried fruits. And unless the blend calls specifically for whole spices, assume they need to be ground. Thus when you see cumin powder on the list of ingredients, you need to start with whole cumin seed and grind it yourself. Same with things like coriander, fennel and black pepper (technically a dried flower bud, not a seed). Other ingredients include garlic powder and onion powder, which are garlic and onion respectively, that are dried and then ground into powder. You don't need to grind these, but rather use them straight from the container. With certain exceptions (like bay leaf, for instance), bulk dried herbs will already be ground or crumbled up. That's as much to do with gravity as anything else. If you want to dry your own fresh herbs (and if you grow them in your garden) and then spin them in your coffeemaker, that's great. But you don't have to. The return on all that effort isn't worth the quality improvement over store-bought herbs. You can (and should) adjust the cayenne pepper to taste. Stir in half of the amount below, taste it and then add the rest a little at a time, tasting after each addition before adding more. Use three tablespoons of this taco seasoning per pound of ground beef. The cayenne pepper is optional. No, it's not just for making pumpkin spice lattes, but yes, you can definitely use it for that—you know you're going to. Other possibilities include using it to season roasted vegetables, swirl it into muffins or pancake batter, or, of course, for making pumpkin pie. There are about a thousand ways you can make curry powder, using a thousand different ingredients. But this one is pretty standard and quite mild. You can always add more heat. The ingredient that gives curry powder its characteristic yellow hue is turmeric. This aromatic poultry seasoning can go on a whole chicken before roasting it, or on chicken pieces that are going to be roasted. Use it just like you'd use a dry rub. Another all-purpose seasoning that will go with anything savory: hamburgers, chicken breasts, grilled vegetables, even soups and broths.